Let us meet every Tuesday to meditate. We'd like to welcome you to our FREE Sahaja Yoga meditation meetings which take place sometimes in Solihull - Please contact us to book your places: Telephone (Preeti) on: 07500 848 126 or Email: vasthava@gmail.com - also weekly in Leamington Spa on Fridays at 7.00pm. We are all volunteers of a Charity organisation and have many years of experience in offering free Sahaja Yoga Meditation classes. All across the globe, many are seeking new sources of energy. Meanwhile, the most transformative energy of all is hiding in plain sight, within us. It's natural, sustainable, and infinitely renewable. It's called inner kundalini energy. And everyone already has it — everyone!. It is often likened to an inner feminine or motherly energy which automatically knows about us and what is needed to help us restore balance and harmony within our subtle being. It works spontaneously, effortlessly, organically and cannot be paid for. The classes are designed to help those attending get into a genuine meditative state, which can be felt tangibly. It is quite effortless and spontaneous. The free classes feature introductory talks, video's, practical workshops and general question and answer opportunities, making them perfect for seekers trying to establish a state of yoga, and they are available across London most evenings and throughout the UK. The idea is that you don't do yoga - you Achieve Yoga! Sahaja Yoga Meditation is a simple, time-honored technique. It helps those who enjoy it, reduce stress and increase wellness and health holistically. It brings better focus and helps people become more centered and better balanced. Anyone can do it. Founded by Shri Mataji Nirmala Devi, Sahaja Yoga Meditation is a world wide movement for peace and self awakening. All the meetings and classes are free of any charge. Each week we go through simple meditation techniques, often with guided meditations to help reduce stress and achieve the peace of true meditation. We share tips on how to help stay in balance during the day and how to meditate at home. 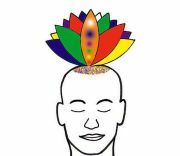 The meditation is based on connecting with the inner chakras (energy centres) and balancing the subtle body. The tradition and aims of meditation are explained which in essence is to be in the present with no mental activity or thoughts about the past or the future. Occasionally there are 1 day retreats to help those interested, deepen their individual experience and hear advice and tips from those who have been practicing for some time. It’s ultimately all about getting into ‘thoughtless awareness’, a natural state of being.